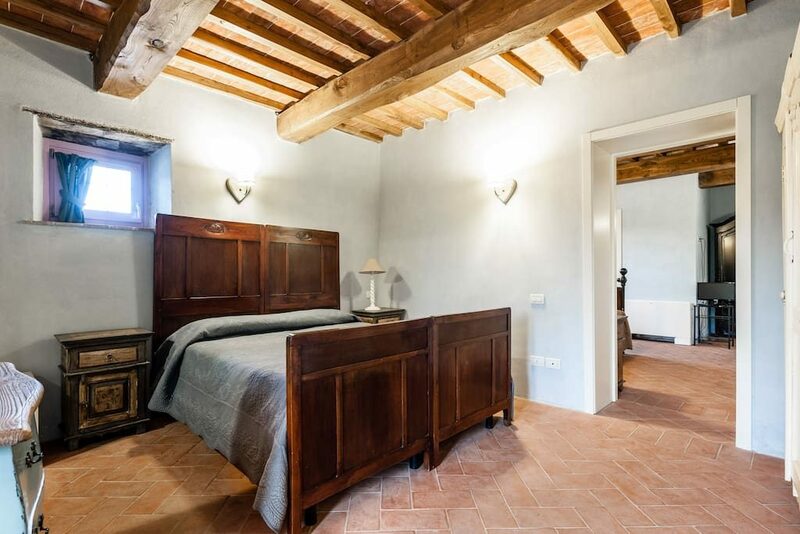 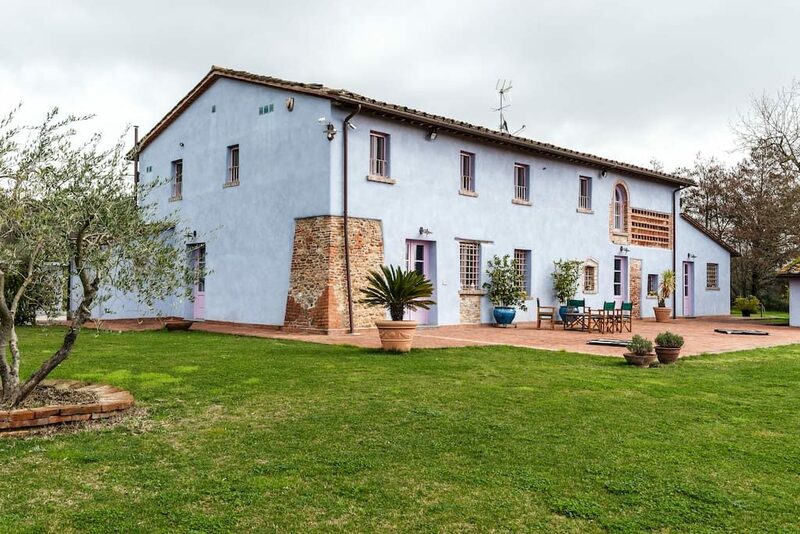 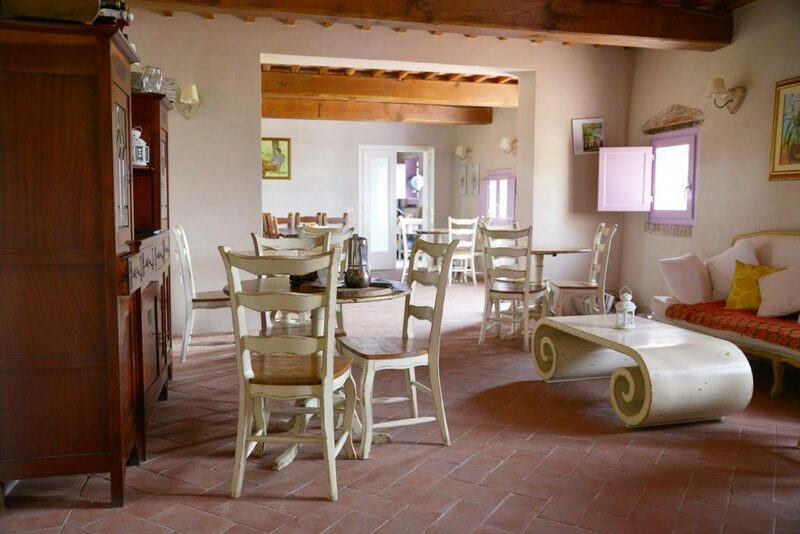 Beautiful stone farmhouse restored respecting the tuscan style. Peace and tranquillity in the heart of authentic Tuscany just a step away from Lucca and art cities. 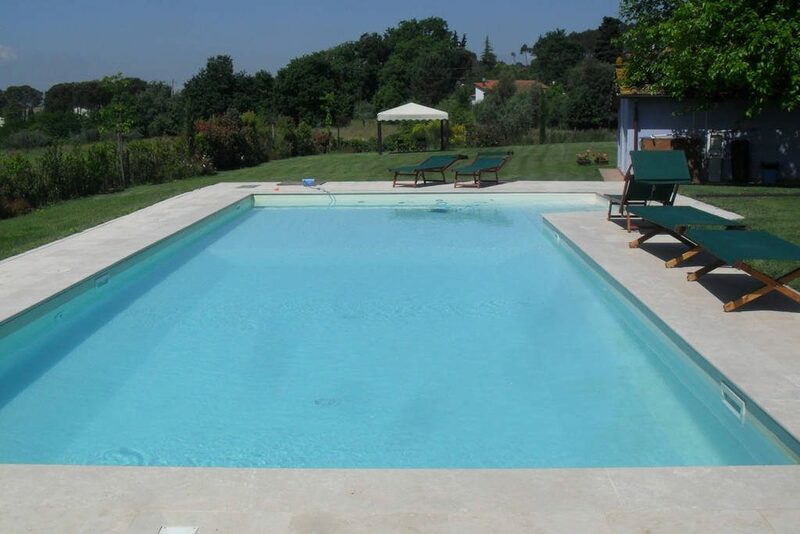 Large garden and swimming pool. 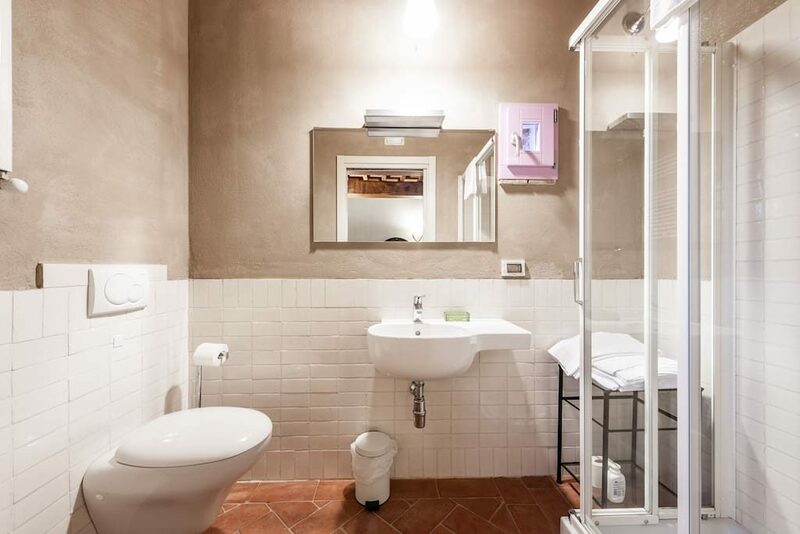 Up to 22 people. 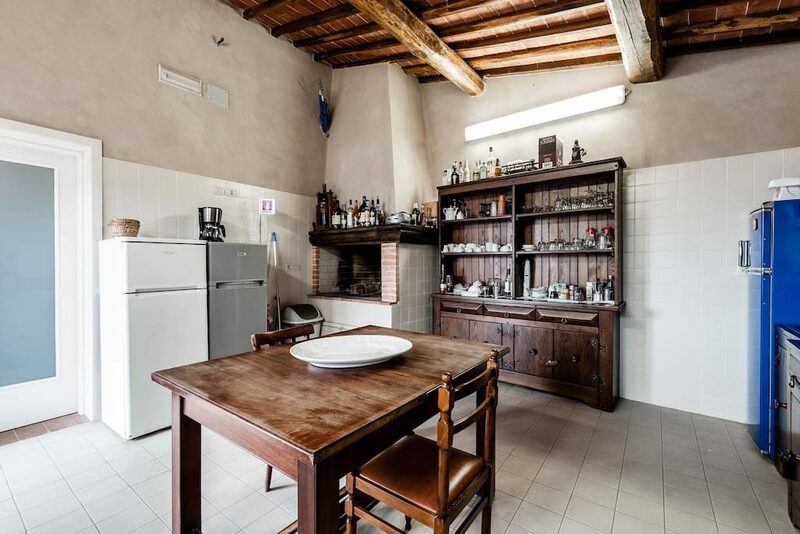 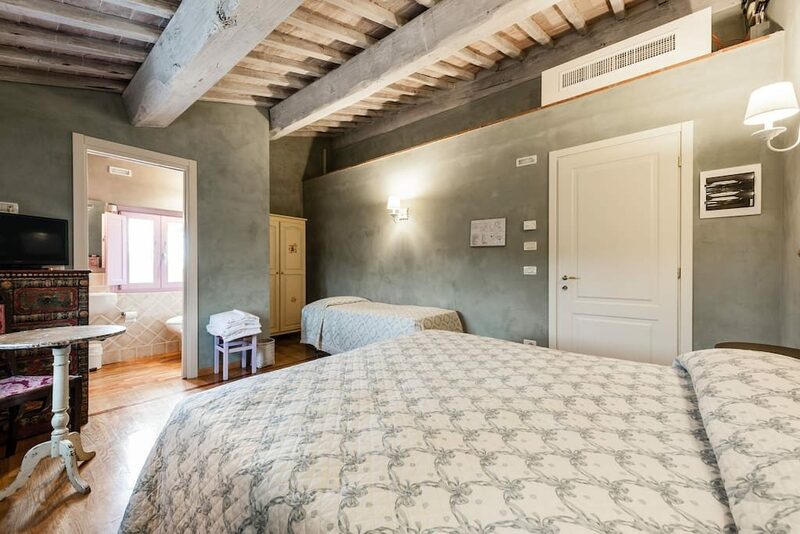 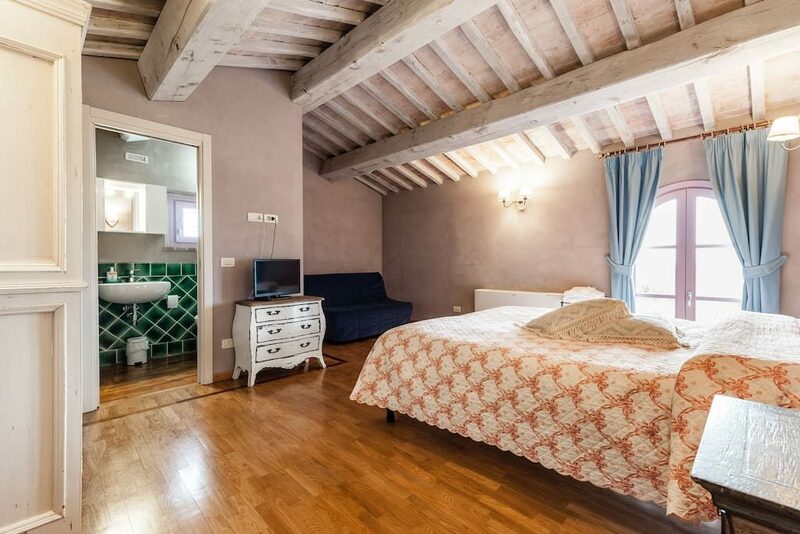 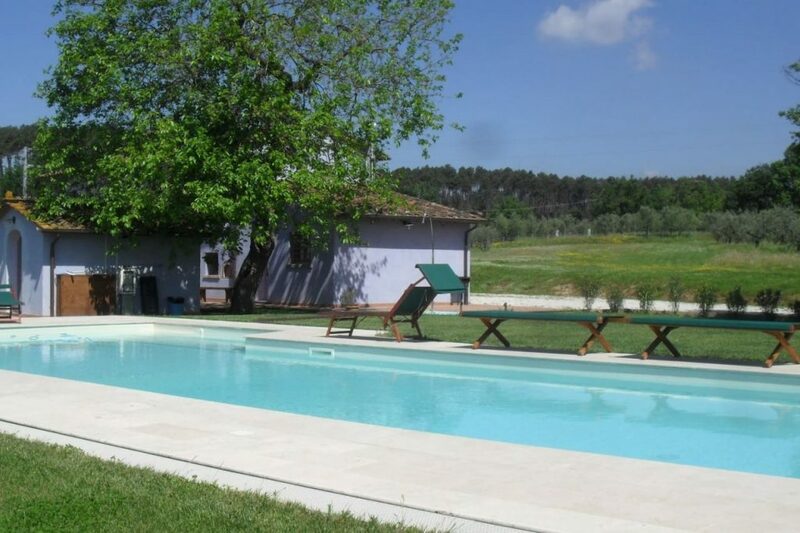 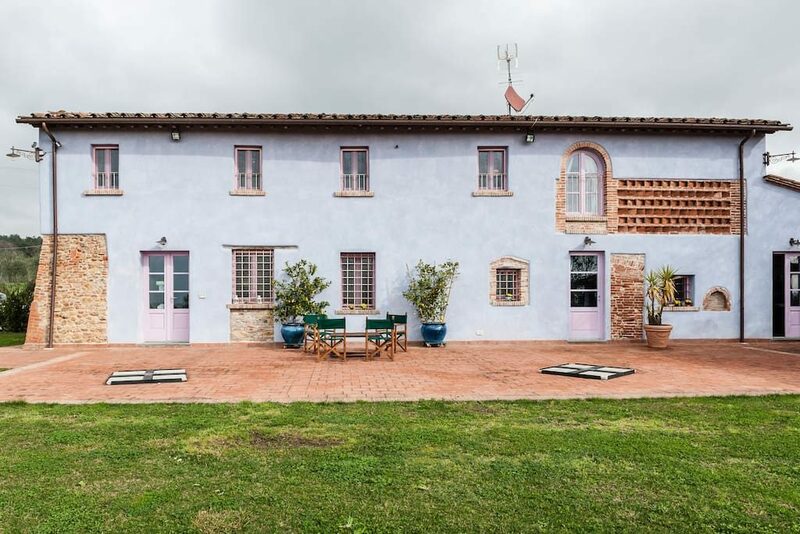 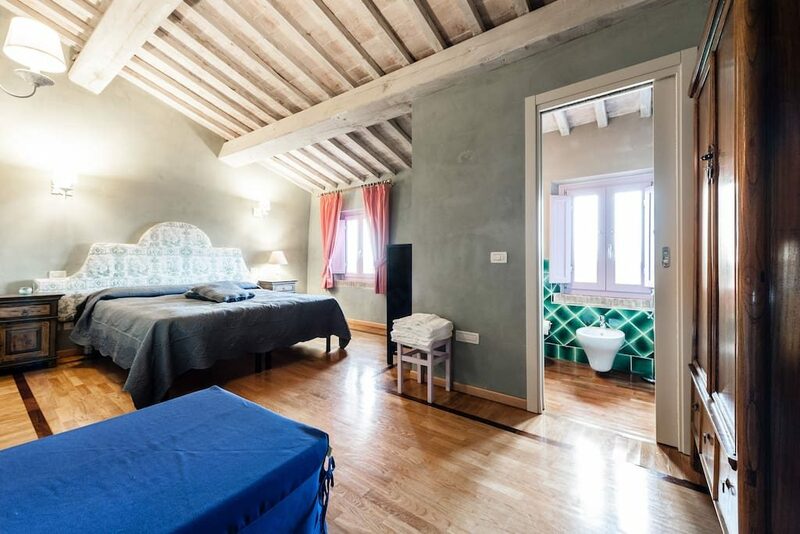 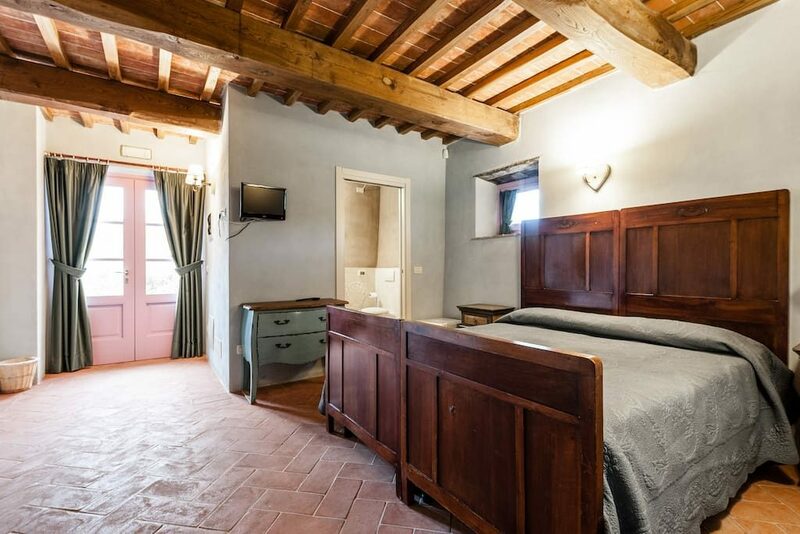 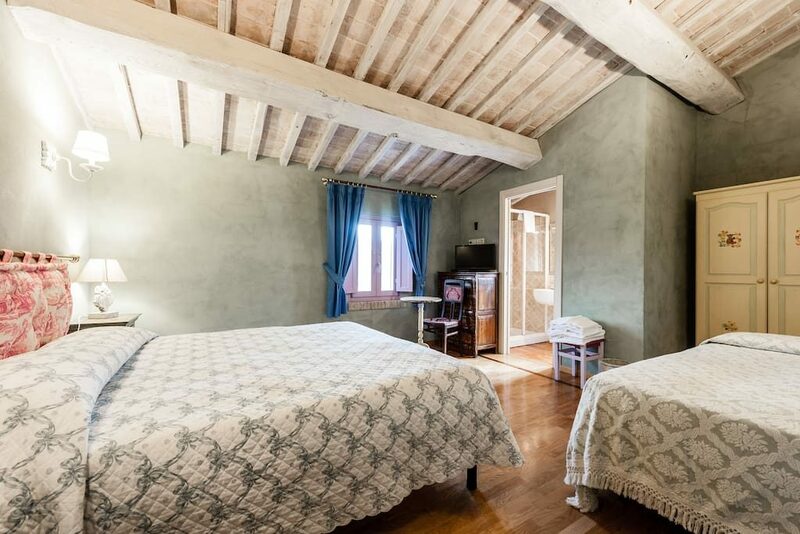 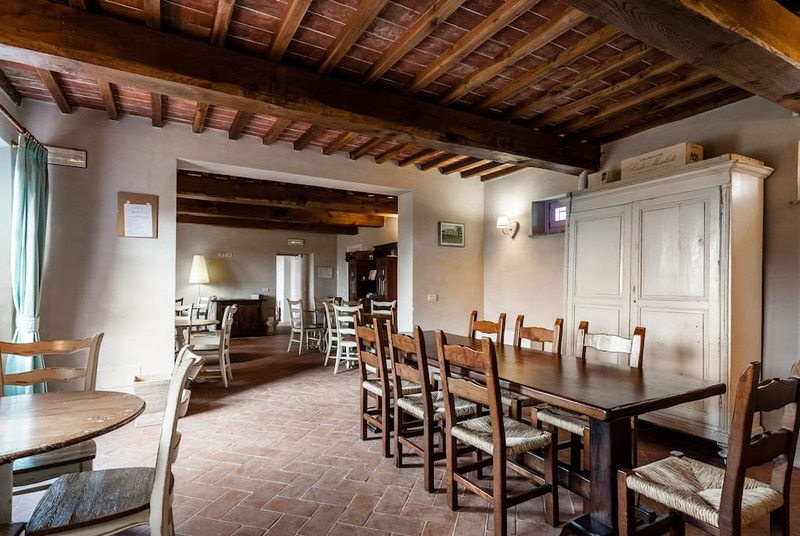 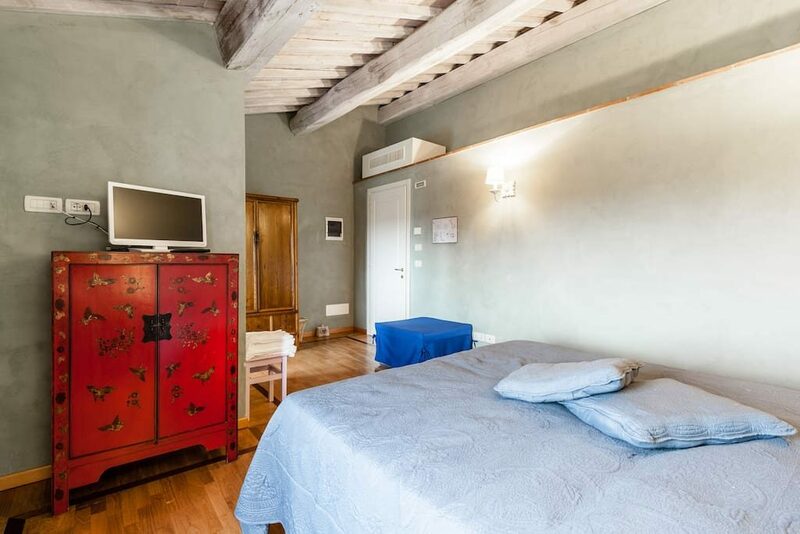 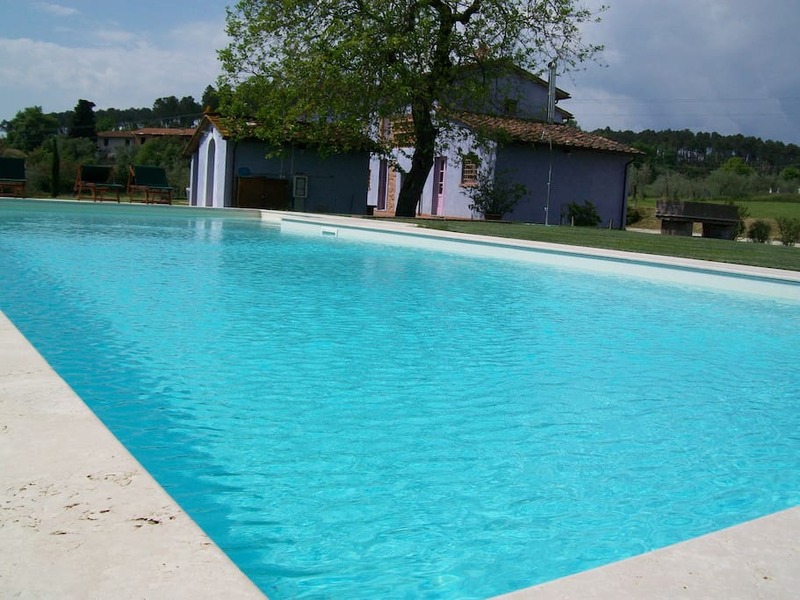 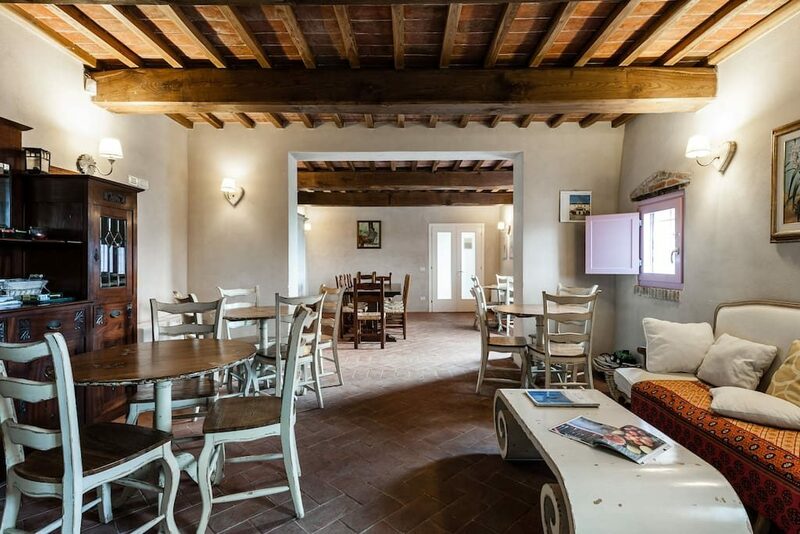 Beautiful stone farmhouse restored respecting the tuscan style with colors and fine furnishings, surrounded by a large park with beautiful swimming pool tables and sofa, barbecue, olive trees, plants, quiet countryside near Lucca, Pisa and Firenze. 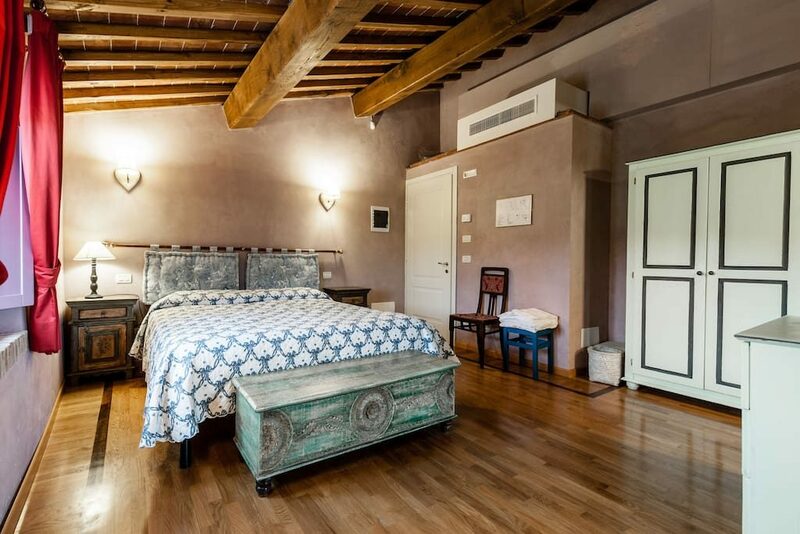 The villa has been recently restored using ecological biocompatible materials and has all modern comforts, air conditioning, free wi fi. 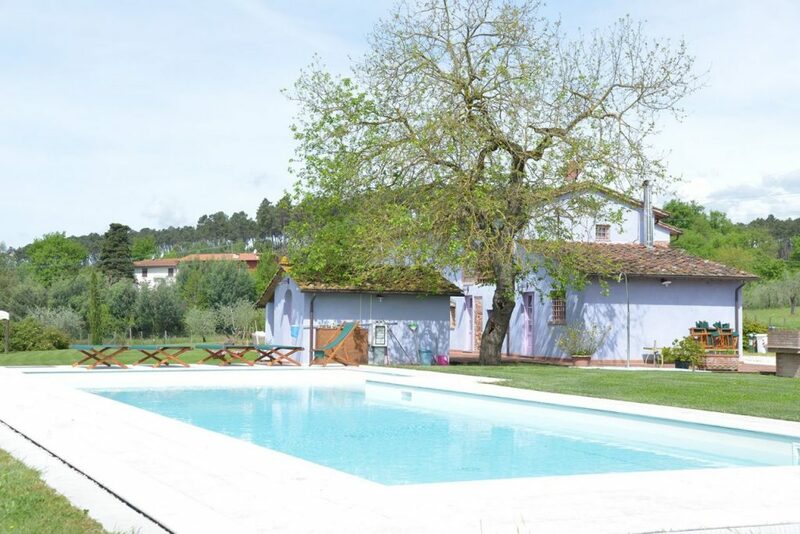 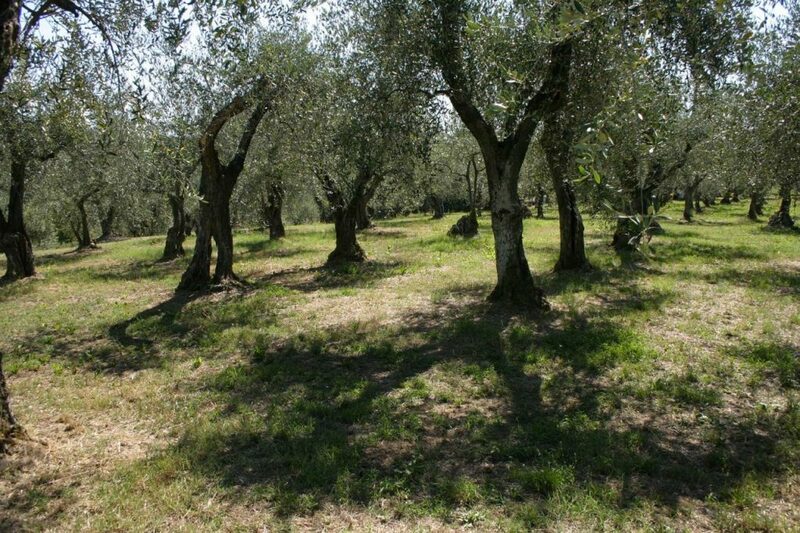 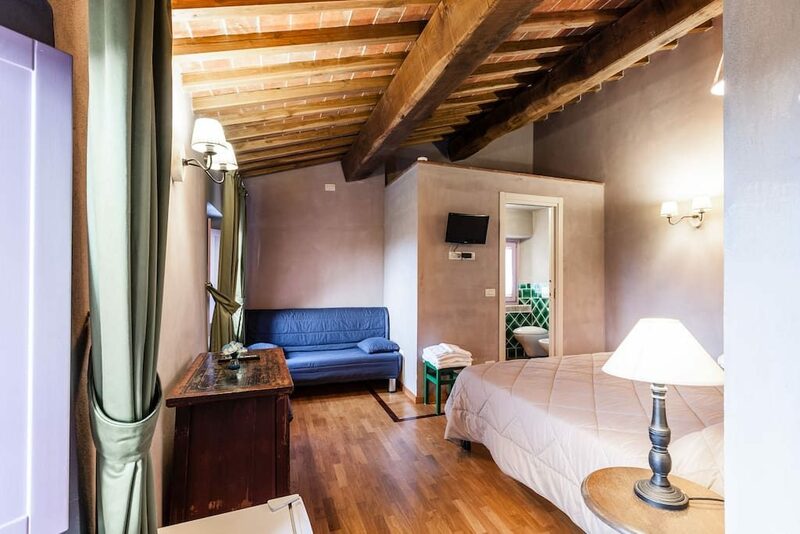 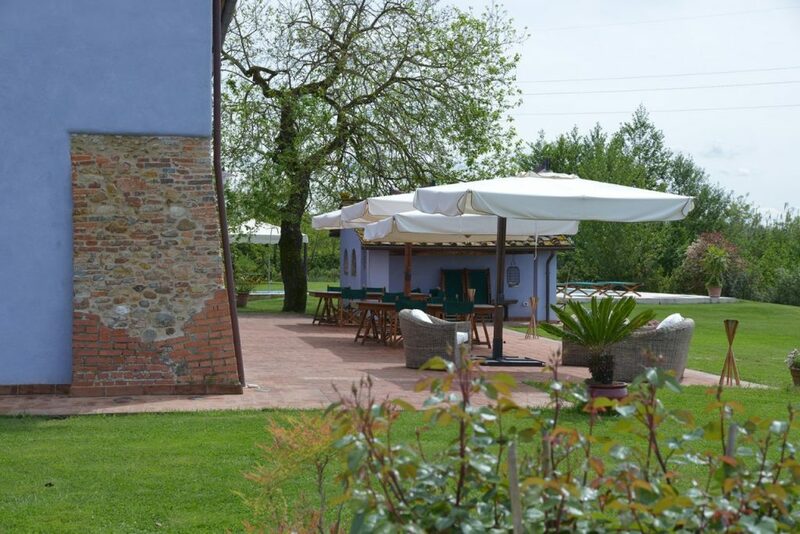 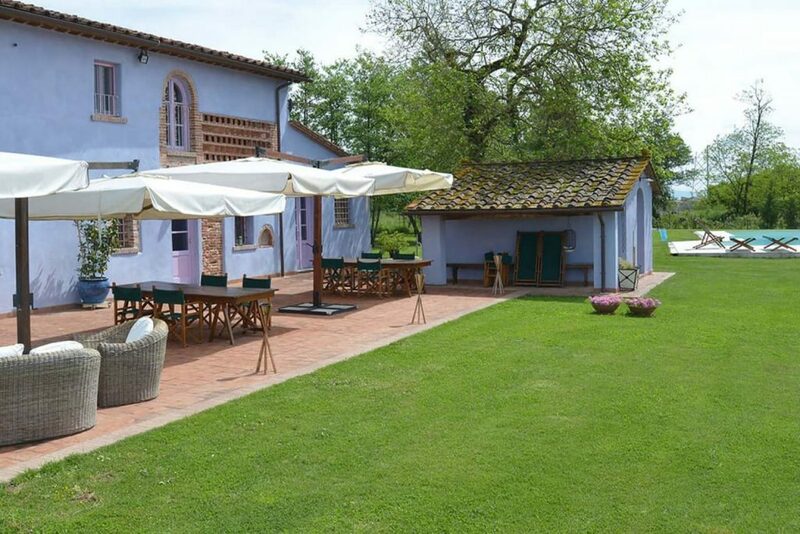 Peace and tranquillity in the heart of authentic Tuscany just a step away from Lucca and near art cities. 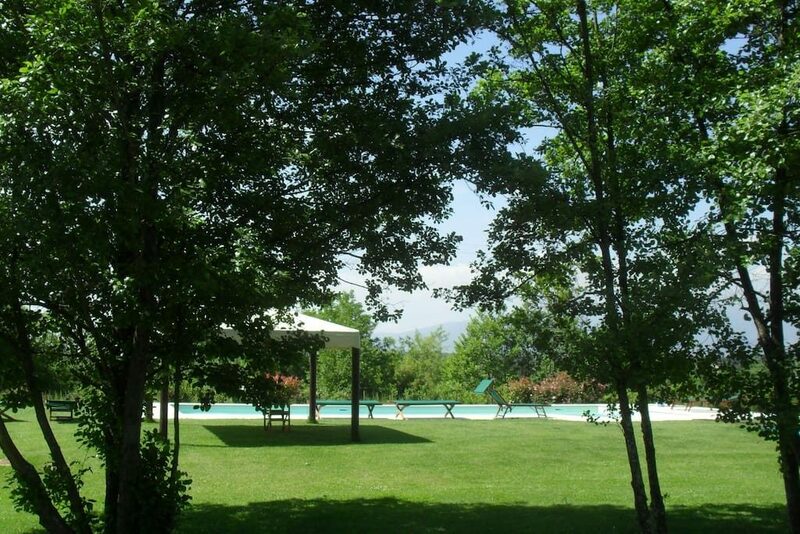 5-hectare park with a pond, barbecue, lawns, swimming pool with whirlpool and 2 levels multicolored night lighting, patio for outside dining. 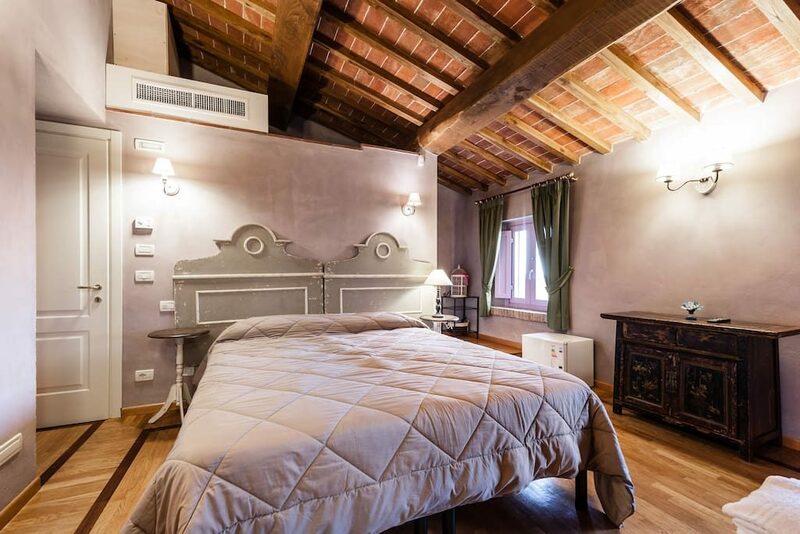 The house can accommodate up to 22 guests in 7 bedrooms. 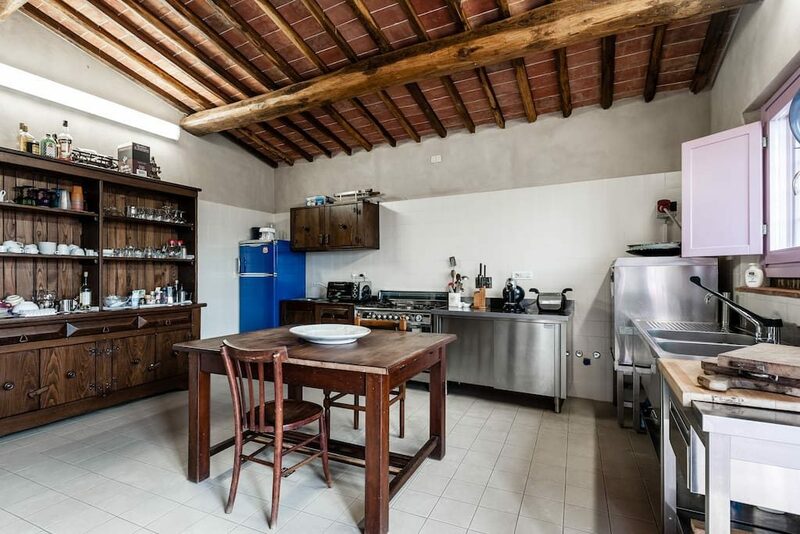 At the ground floor a big living area connected to a large professional kitchen, 2 double bedrooms (connected) and 2 bathrooms; at the first floor five more double bedrooms with ensuite bathroom. 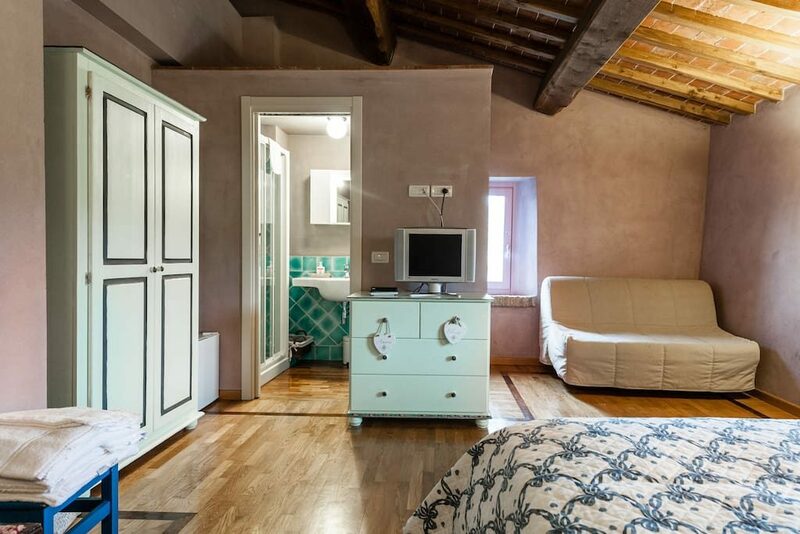 Some of the double bedrooms has sofa beds so they can be quadruple. 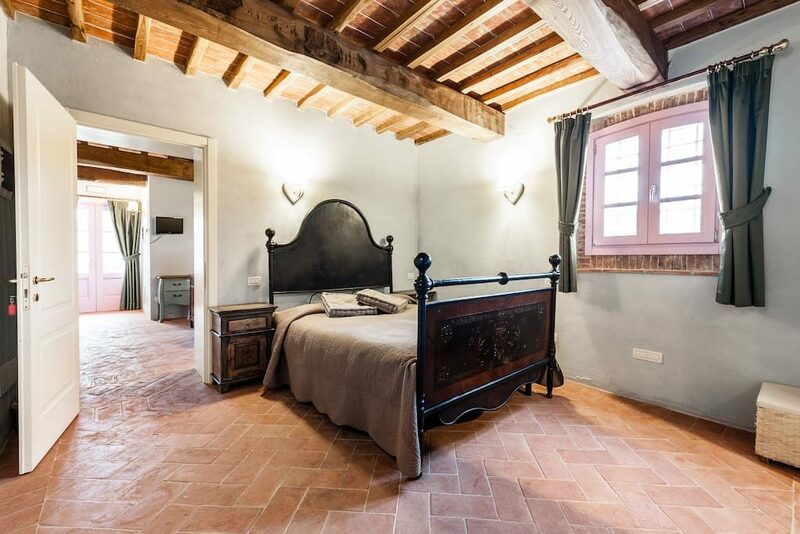 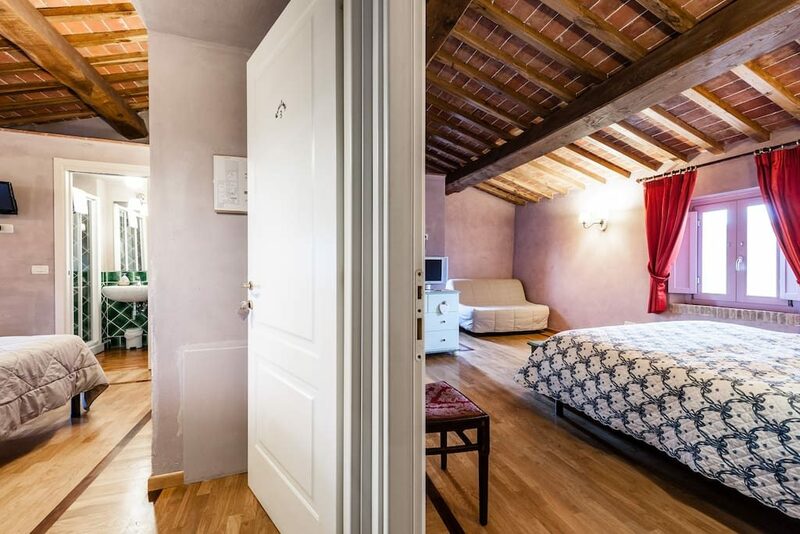 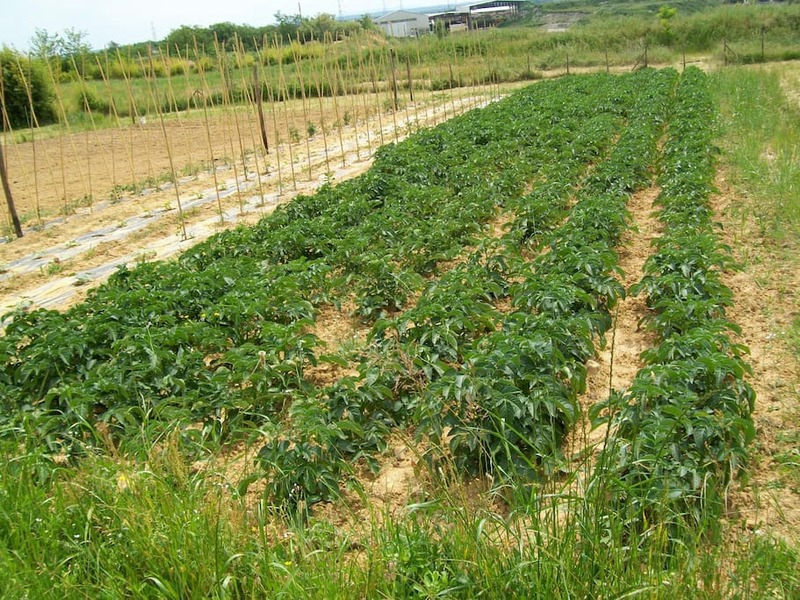 The property is located few hundred meters from the medieval village of Montecarlo. 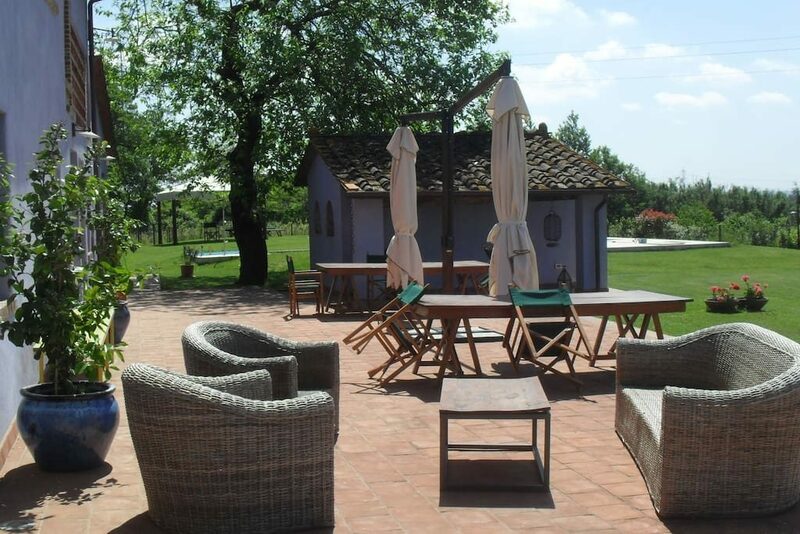 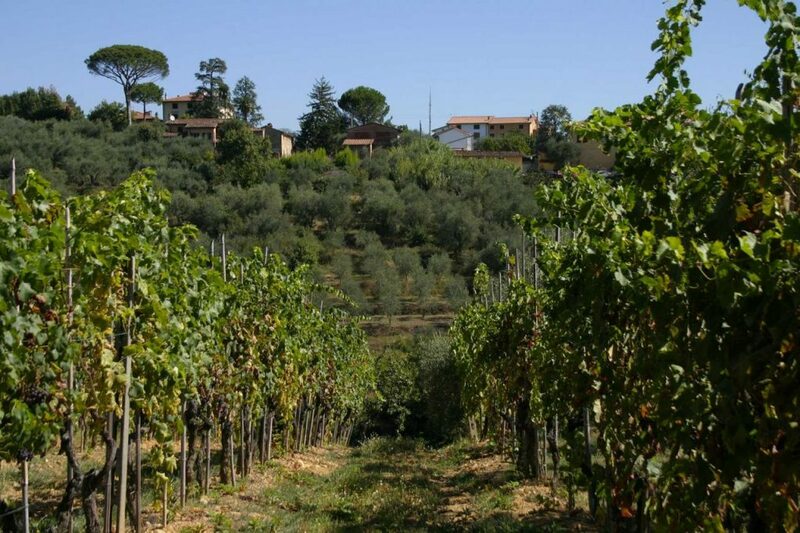 The Villa is surrounded by many farms that produce wine where you can make wine tastings or buy good wine and typical tuscan products. 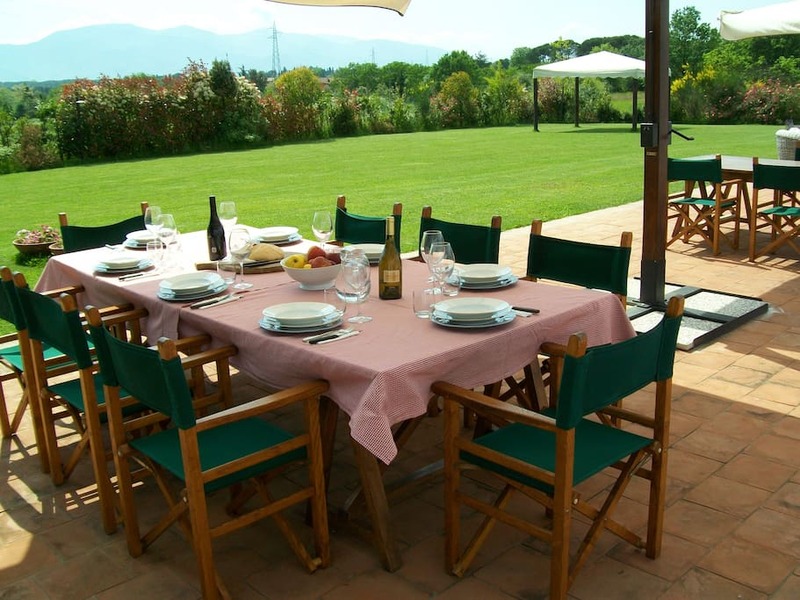 On request cooking classes, dinners with chef, organization of walking, biking or horseback riding in the art cities with guide and tasting at the farm.